Well, as usual it’s been a while since I’ve posted something here on the blog, but some recent life events have convinced me it’s time to share what’s been going on. On February 25th, 2019, I went to the doctor for a checkup for the first time in almost a decade. I’d been secretly dreading the appointment because I knew that he was going to say some things I did not want to hear. Stepping on the scale it wasn’t really a surprise to hear him say I weighed 310 pounds. I was honestly expecting it to be a bit higher. Next, came my blood pressure readings, my resting heart rate, and a plethora of other measurements. By the end of the exam I felt worse than the week before when I had an upper respiratory infection. Near the end of our time together that day, the doctor gave me some tips. He suggested looking into intermittent fasting; something my wife’s doctor had recommended to her to help her reach her goal of losing a few pounds. That sparked a small bit of hope inside of me. Even if I had to change my eating habits, at least I could share the schedule with my wife. While I was sort of correct in this assumption, I was also not expecting what happened next. When I got home (after grabbing some Korean fried chicken from Bonchon), I started doing what any good millennial would do; research on the internet. I started on Reddit since I remembered seeing a /r/fasting sub, but that quickly led to /r/intermittentfasting where I was assaulted by pictures of people who looked a lot like me slimming down in record times. I was honestly skeptical but willing to try it. I found my way to the Zero fasting app and jumped right in with an 18:6 fast (eighteen hours fasting, six hours eating). My normal schedule was already skipping breakfast most days and eating a late lunch. I figured a 2PM lunch would force me to eat my next meal with my wife after she got home for work around 6 or 7PM each night. Over the next two days, I continued the routine. My diet was probably still sub-optimal. On my doctor’s advice, I was cutting out a lot of carbohydrates as well. Instead of fries with my chicken wings, I got coleslaw instead. By day 3 I noticed I was pretty much fasting for 20 hours a day from dinner the night before to the time my wife got home, so I decided to bump up my fasts to 20:4. 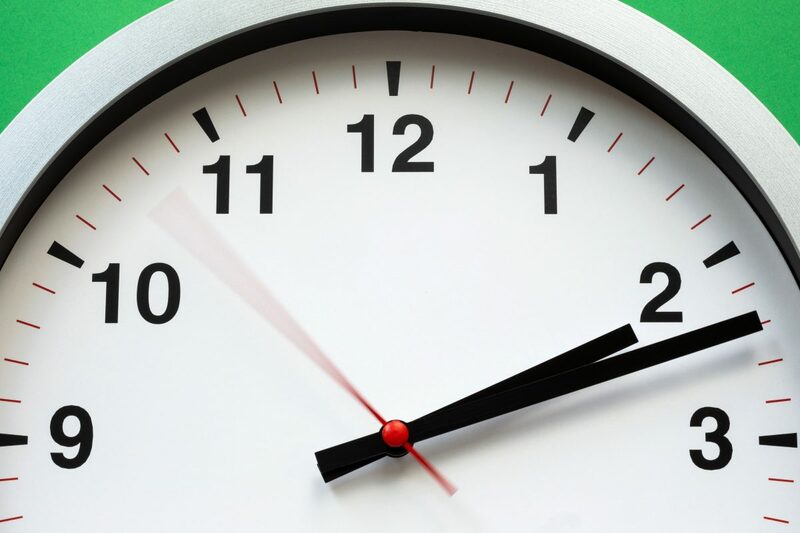 Why not take advantage of the extra fat burning time? This was where I began really diving into more information about intermittent fasting, especially around people who are seriously overweight. I soon discovered Dr. Fung, a kidney specialist who focuses on patients with complications from type 2 diabetes. I won’t go into too much detail here but I do recommend you browse through his YouTube channel if you’re interested in more. Unlike other “celebrity” doctors, Fung has very few uploaded videos of his own, which indicated to me that he wasn’t creating content for the money. He does however, frequently appear on other YouTube channels and radio shows discussing his ideas and findings. I especially recommend his series titled “The Aetiology of Obesity”, a six part series that appears to be a collection of lectures he gave to other doctors. It’s a big commitment to watch, but the information really eased some of my fears and quashed some common misconceptions around fasting. The crux of his research and testing has basically boiled down to that fact that type 2 diabetes and many of it’s complications can be solved simply by fasting. Simply restricting the intake of calories (liquid or solid) tells your body to enter into fat-burning mode once all the glycogen (sugar, basically) is used up from your previous “meal”. I use quotes because sugary juices and sodas aren’t viewed any differently by your cells when it comes to absorbing nutrients. Learning all of this really got me thinking. After a couple of weeks, I got the nerve to try a 24 hour fast (or one meal a day) for the first time, despite basically I having achieved that milestone a few times already. Some of my 20 hour fasting days had only comprised one meal, but I was afraid to start my next fast early in case I felt that I really needed a banana or small snack before bedtime. 24 hours was a piece of cake. I felt so good, I decided to try it again on the day leading up to my next doctor’s appointment. That would be my first return since starting this experiment with intermittent fasting. In the days leading up to my appointment, I was nervous. During these few weeks, I had purposefully stayed away from the scale so as to not get discouraged by fluctuations of water weight from day to day. Reddit comments always hammered that on posts from people seeing little progress after only a few days of intermittent fasting. Arriving at the doctor’s office, I walked into the exam room and he ushered me to the scale. I could feel my heart pounding and wondered if it would affect my resting heart rate results later. The doctor plopped the largest weight over to the 300 mark, where it had been from my previous visit, and immediately it fell to the right; too heavy! Success! I had at least dropped 10 pounds in 24 days. The doctor gave a small smirk, seemingly surprised and pleased. He kept adjusting the weights and my eyes kept getting wider and my heart kept pounding faster. When he was finally finished, the scale reported 289. I had lost 21 pounds in 24 days. Nearly a pound a day on a diet of chicken wings, beans, brown rice, chicken thighs, fish, and a cheat meal of Domino’s pizza while babysitting. I was absolutely ecstatic. I should also mention that I didn’t exercise at all, only doing my normal routine. The doctor finished taking some other measurements, noting that my heart rate and blood pressure had gone down significantly since my last visit. I honestly think he was probably a bit surprised as well. I’m sure it must be nice to have your patients listen to your advice once in a while. Back in his office, we discussed the results of my blood work taken from the previous visit. 3 weeks prior, I technically met the definition of a type 2 diabetic. My cholesterol was also very high, a side effect I later learned was due to inflammation caused by my body’s resistance to insulin. I was dreading the news that I would need to start on some sort of diabetes medication, but because of my results that day, the doctor said he was not going to prescribe them yet, dependent on my continued improvement. I left his office that day with a prescription for some cholesterol controlling medication and a recommendation to work my way up to 4000mg of fish oil tablets per day; a common suggestion for individuals with high cholesterol levels. I was a bit disappointed, but I was also hopeful that I may be able to wean myself off of this stuff with continued results. Following my appointment, I was now more determined than ever to see things through. I now had the validation that what I had been doing was working. I also had more confidence in myself and my ability to control my cravings and impulses. Shortly before my second appointment, I discovered the LIFE Intermittent Fasting app. 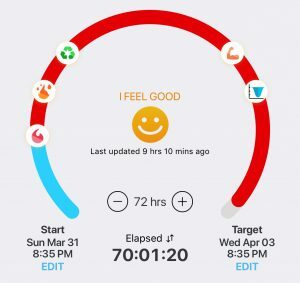 I was initially drawn to it after seeing the progress bar in the app, showing progress points within each fast of when your body has started reacting in a new way. Upon downloading the app, I also learned of it’s built in social features; encouraging you to connect with other people who are fasting and share your progress throughout your fasting period. I quickly got my wife and a coworker on board and watching each of our progress bars advance was a great motivator when I was feeling hungry before my it was time to eat again. Reading stories on /r/intermittentfasting was also a huge motivator. Look at at all of those cool progress icons! A week or so after my second appointment, I decided to experiment with a longer fast of 48 hours. From the information I had consumed, there are a plethora of benefits from fasting more than 24 hours and I was excited to see what kind of results I could achieve and push my willpower even further. Worst comes to worst, I could back off and eat whenever, not feeling guilty at only making it 24+ hours. The second half of my first 48 hour fast was brutal. The hunger pangs were intense when they arrived, not helped at all by my insistence to torture myself with cooking shows on YouTube. I discovered water was even more of a friend than I previously thought, filling my stomach with as much as I could when hunger reared it’s head. Eventually the rumblings would subside, usually within a half hour of drinking a lot of water and I was back to work or playing some video games to keep my mind occupied on something other than food. At the end of the 48 hours, I was happy to eat again and proceeded to stuff my face with what was probably 3000+ calories in one meal. It’s important to note however, that my daily energy expenditure just from existing is around 3500 calories a day. So even gorging myself I was still at a deficit. I’m sure as I continue to lose weight that resting calorie burning rate will decrease, but whatever it is, I’m still far below that threshold on any normal eating day. Feeling good about my progress, I decided to try couple more 48 hour fasts, sometimes coming up a couple hours short but not sweating it too much. 46 hours is still great and I would rather eat a nice dinner with my wife at her normal dinner time. I now have really come to internalize that intermittent fasting is about a lifestyle change that should work for you as an individual. I refuse to feel guilty breaking a fast early to socialize with friends or family, though I do admit I am now addicted to seeing the “Fast complete!” notification on my phone every night. Every Friday I now weigh myself. I still don’t weigh daily due to water fluctuations and I know from previous diet attempts that seeing the scale bounce up and down every day isn’t good for my mental health. I figure a week is enough time to show a trend without worrying if I’m a pound or two heavier/lighter due to how much water I drank the day before. As a side note, I’ve had a Fitbit Aria scale for a few years now and really enjoy it despite not owning an actual Fitbit anymore. After completing a few 48 hour fasts, I resolved myself this week to attempt a 72 hour fast. I started Sunday evening, made it through the obstacle course of snacks at my church small group meeting on Monday night, and was feeling good heading into Wednesday. I was already fantasizing about my dinner for that evening. As the time grew closer and closer though, I realized that I wasn’t really hungry. Sure, I could eat, but I had grown so used to the rumbling of my stomach and the mental feeling of hunger, that I started to wonder if I needed to eat at all? With another hour of contemplation, I decided not to break my fast, and instead continue for at least 24 more hours. At the time of this writing, it’s now Friday. This evening I will break my fast seeing a movie at a dine-in theater with my wife after 120 hours of not eating anything and only drinking water, tea, black coffee, and a few carbonated waters (with only a small squeeze of lime for flavoring). I’ve made it 5 entire days without eating anything, all the while watching friends and family eat their meals while I gaze on, trying to keep up the conversation. At my weigh-in this morning, I weighed 275 pounds. 35 pounds lost in 39 days. I know this kind of rapid progress won’t last forever, but I’m grateful for the results in the meantime. Overall, I feel better, more alert during the day, less tired when I should be focused, and look better to boot! I count all of that as a win. I’m really proud to have completed a five day water fast. I’m not sure when I will do it again, but I can now picture a future where two day fasts are even more frequent. If my schedule with allow it, I would love to try an even longer extended fast in the coming months, perhaps 14, 30, or even 40 days! I realize that with extended fasting comes more variables to consider such as micro-nutrients and electrolytes, but I’m confident I can navigate those obstacles effectively. If anyone is considering starting intermittent fasting, for weight loss reasons or otherwise, I would encourage you to at least give it a shot for a few weeks. You don’t need to drastically change your diet. Simply cut out all food for at least 16 hours a day and only drink water during that fasting time. For most people, this can mean an eating window of 12pm-8pm. Adjust that forward or back according to your personal schedule and needs. If you have any questions at all, feel free to leave a comment, or reach out privately. My DMs on Twitter are open and I would love to chat about whatever you want, fasting or otherwise. If you want to join a circle with me on the LIFE app, you can click this link to be added instantly. I look forward to meeting you soon and seeing how we all progress together! Photo credit to Stas Knop and downloaded from Pexels.